Young Louis knew the smell of leather from his father’s tanning business. Though his father, who had fought in Napoleon’s army, sacrificed to give his son a better education than he had, Louis was considered a dull student, and vacillated between ideas for what to do with his life. According to John Hudson Tiner, who has written an excellent narrative biography of Pasteur for the Sowers Series, one of his teachers saw buried in him a spirit of determination and imagination that had the potential for greatness, and helped fan it into flame. He was sent to Paris at age 15, but his time had not yet come; his homesickness made him fumble, and he had some maturing to do. While dabbling in art and trying various subjects, he improved in determination and learned to trust God. He made it his goal to do better at the university, and the next time in Paris, honed on a dogged determination that would characterize his life, he rose to the head of his class. But when he heard a lecture on chemistry by J. B. Dumas, he found his calling. What followed was one of the most phenomenal series of major discoveries in the history of science. Though best known for discoveries in medicine, Pasteur was a chemist. One of his early discoveries still baffles evolutionists today. While studying crystals under polarized light, he found that certain molecules come in left- and right-handed forms that are mirror-images of each other, a phenomenon now known as chirality. Even more remarkable, he found that living things use entirely one hand. Most natural substances are composed of fifty-fifty “racemic” mixtures of both hands, the “stereoisomers” of a given chiral molecule, but for some reason living things were 100% pure of one hand. Pasteur recognized this as a defining characteristic of life, and it remains a mystery to this day. We now know that proteins, which are made up of 100% pure left-handed amino acids, could not function if they were racemic (mixtures of both hands), but how did life get started with just one hand, when both are equally probable? This appears to be a clear evidence of intelligent design, because the probability of getting just one hand in a chain of amino acids is vanishingly small, like flipping a coin and getting heads a hundred times in a row. Pasteur certainly considered this an evidence of a Creator, but today evolutionists are continuing to struggle with this observational fact, looking for some natural process that would yield even a hopeful majority to one hand or the other. To this day, none has succeeded. They know that close enough is not good enough; only a 100% pure chain would work. The problem is compounded by the discovery that RNA and DNA contain sugar molecules that are 100% right-handed. In Pasteur’s day, however, a majority still believed that micro-organisms came from nonliving matter; for one thing, they seemed to proliferate rapidly even in distilled liquid; for another, there were so many varieties, they seemed almost chaotic and impossible to classify. Lastly, micro-organisms seemed very simple. It was easy to imagine them appearing without help; maybe some “vital force” gave rise to them. Experiments on both sides of the debate yielded equivocal results. Pasteur decided to enter the fray, against the advice of his peers that it would be a waste of time; but his persistence succeeding in delivering the knockout blow. He would say triumphantly, “Never again shall the doctrine of spontaneous generation recover from the mortal blow that this one simple experiment has dealt it.” What was the experiment that gave him such confidence? It was a model of rigorous scientific method. His opponents already knew that a sealed jar of nutrient broth would not generate life. They surmised that air contained a vital ingredient. Pasteur believed that microbes in dust, not the air itself, produced the swarms of living things. How could he create an environment open to the air, but prevent microbes in dust from getting to the broth? This problem led to his famous swan-necked flask experiment. He put a nutrient broth into a flask, then heated and shaped the neck into a horizontal S-curve open to the air. Dust containing the microbes became trapped in the curve and could not enter the broth, but the air could pass freely in and out. Pasteur demonstrated to his critics and skeptics that under these circumstances, the broth remained sterile, while flasks without the swan neck swarmed with microorganisms. Some diehards still objected, however. They said that if the air were infested with microbes, it would form a dense fog. Pasteur responded with a series of experiments taking his flasks to a variety of environments, in the city and in the country, and even up high on Mont Blanc (where he had to endure a cold night in a miserable inn). The flasks in the city became clouded with microbes, but all but one on the high mountain were sterile. He concluded that microbe-carrying dust particles vary with elevation and pollution, but clearly it was microbes in airborne dust, not the air itself, was the source of the life that appeared to spontaneously generate in the broth. He publicly challenged his opponents to prove him wrong with rigorous experiments that excluded airborne dust, and they could not. The Academy of Sciences judged Pasteur’s observations to be “of the most perfect exactitude,” and in the end, even his bitterest critics and the most ardent advocates of spontaneous generation acquiesced. Pasteur said, “No– there is today no circumstance known in which it can be confirmed that microscopic beings have come into the world without germs, without parents similar to them. Those who maintain this view are the victims of illusions, of ill-conducted experiments, blighted with errors that they have either been unable to perceive or unable to avoid.” Yet they are with us today. Pasteur Vallery-Radot wrote a brief biography of his famous grandfather in 1958, and claimed that Pasteur did not consider spontaneous generation altogether impossible. He even claimed Pasteur “had dreams about creating or modifying life.” But he provides no support for that claim, referring back only to an earlier time when, working with crystals, Pasteur appeared optimistic that if he could identify the forces that produced asymmetry, he would be at the threshold of life. But on the very next page, he quotes Pasteur as admitting defeat and saying, “After all, one has to be something of a fool to undertake what I did.” This was prior to his experiments on spontaneous generation, so Pasteur appears to have convinced himself even back then that Life was too extraordinary to explain with chemicals acting under natural forces. After this unsupported assertion, Vallery-Radot went on to praise the Miller spark-discharge experiment: “In fact, only recently the ancient argument for the spontaneous generation of life has revived, on the basis of laboratory experiments. These revealed that the basic elements making up living matter can be synthesized out of simple chemicals, under conditions existing on this planet a billion years ago.” Thus Pasteur’s grandson became seduced by the neo-spontaneous generationists, unaware that the alleged conditions could not have existed on the early earth, and the products were useless, mixed-handed dead ends. Descendent regardless, it was a distortion for Vallery-Radot to assert that Pasteur was favorable to ideas of evolution. John Hudson Tiner said, “Pasteur rejected the theory of evolution for scientific reasons. He was the first European scientist to do so. He also rejected it on religious grounds” (History of Medicine, p. 81). He said, “My philosophy comes from the heart and not from the intellect, and I adhere to that which is inspired by the natural eternal sentiments one feels at the sickbed of a beloved child breathing his last. Something deep in our soul tells us that the universe is more than an arrangement of certain compounds in a mechanical equilibrium, arisen from the chaos of elements by a gradual action of Nature’s forces” (Vallery-Radot, p. 157). This is a clear rejection of Darwinian naturalism. We have only begun to share the honorable achievements of this great scientist. Pasteurization: just the word suggests a benefit every one of us takes for granted but, without which, we would be cast backward into harsher and riskier times people coped with for most of history: times in which spoilage of food and drink were daily concerns. Through experiments with yeast in wine, Pasteur found that by heating the wine to a certain temperature after fermentation but before spoiling bacteria invaded, the wine could be preserved much longer without loss of taste. This discovery applied soon to milk, orange juice, and many other goods, and revolutionized food processing. Now, drinks could be carried on board ships without spoilage. Farmers and merchants did not have to rush goods to market so quickly, and risk great economic loss from spoilage due to delays in shipment. When combined with the refrigeration that came out of the work of Lord Kelvin and James Joule, pasteurization gave households the ability to enjoy good-tasting drinks for days and weeks without having to restock. The economic benefits of this simple lab discovery were enormous, and could have made Pasteur rich. But humble and unselfish man he was, believing science was for the good of the people, Pasteur promptly released his patent to the public domain and never benefited financially from it, though he was not a rich man by any means. (The term pasteurization was applied to the process later in his honor.) Today, Surebeam Corporation has extended the concept to “electronic pasteurization,” the use of electron beams for killing the bacteria that spoil food, and it is also being applied to protecting our mail from terrorist attempts that attempt to spread anthrax. Which brings us to another of Pasteur’s monumental achievements, the germ theory of disease. It’s hard for us these days to fathom the mindset of doctors who, through most of history, attributed infectious disease to bad air, bad bodily fluids, comets and mystical forces. Pasteur was convinced that the microbes he studied were the agents of infection, and proved it with a series of remarkable, life-saving and industry-saving discoveries. His work is legendary and covered in detail in some of the books we recommend, such as John Hudson Tiner’s History of Medicine and Founder of Modern Medicine: Louis Pasteur, but we will touch on some of them briefly. One of the most famous experiments involved anthrax in livestock. Anthrax was economically crippling to farmers and ranchers who could only look on in despair as their sheep weakened and died. Pasteur isolated the microbe that caused the disease. In a remarkable stroke of luck and insight, Pasteur learned that a weakened form of the bacteria provided the same immunity without killing the animal. When he was convinced of his theory, he set out to prove it in a risky public demonstration that put his reputation on the line. He took 50 sheep and inoculated 25 of them with weakened anthrax bacilli. Then, in a good controlled experiment, he exposed all 50 to the full virulent form. Critics were poised and ready to call him a crazy fool; would it work? 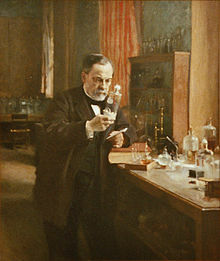 With the whole countryside watching, Pasteur announced in advance that only 100% success would prove his theory right. Even he became a little uneasy in private. He spent a sleepless night waiting for word of the results. In the morning, a telegram: “Stupendous success!” All the inoculated sheep were doing fine; every one not inoculated died. Pasteur’s critics flocked to him like repentant sinners, and his celebrity skyrocketed. Ranchers were saved; anthrax now had a cure. His method of identifying the infectious agent, weakening it, and then using it to inoculate a host soon was applied to many other debilitating diseases, by Pasteur himself (on cholera) and others, saving millions of lives. Probably no other discovery in the history of science has saved more lives than Pasteur’s germ theory of disease, applied to immunization. Edward Jenner had applied a similar method to smallpox in 1796 without knowledge of the infectious agent; with Pasteur, vaccination had a theory and a methodology that could be applied to many diseases. Though a chemist and not a doctor, Pasteur is rightly considered a founder, perhaps the founder, of modern medicine. In his later years, one particular deadly disease was to give Pasteur the challenge of his life: rabies. Rabies is a viral infection. The virus was too small to be seen by microscopes in Pasteur’s time. This lack of evidence threatened his germ theory, but Pasteur was convinced an unseen microbial agent caused the disease, and proceeded to follow his procedure of finding ways to weaken it. It was hard work, with many false starts and dead ends, but he eventually was successful inoculating dogs with a series of increasingly potent rabies shots that appeared to provide immunity. That’s when he had a knock at the door. A desperate mother with her son, Joseph Meister, who had been bitten by a mad dog, pleaded with Pasteur for help. He replied that he was not ready for human testing, but she and other doctors agreed that if nothing was done, Joseph would die. Rabies was always fatal. With nothing to lose, Joseph agreed to be a test patient, and the compassionate Pasteur, realizing there was only one chance, once again put his reputation on the line and began the sequence of inoculations. Pasteur was in anguish over his patient’s predicament and the fear of failure. After a month passed, Joseph Meister was healthy, with no symptoms—the first man in history to be cured of rabies. Patients, bitten by rapid animals, flocked to his lab, for the first time having hope to be spared an agonizing, painful, certain death. Pasteur was again a hero. Pasteur’s germ theory also saved the silk industry and led to many other discoveries, both economically and medically beneficial. Today we know much more about infectious agents and the body’s amazing immune system, and many new techniques are available. Now scientists can target the very genes that code for genetic diseases, and are working on molecular “magic bullets” that can stop a particular toxin produced by a germ, but they owe much to the pathway Pasteur blazed for applying empirical science to the public good. He demonstrated the power of controlled experimentation, rigorous testing, and formulating hypotheses that can be tested. He had no use for empty speculations and grandiose stories that could not be observed and tested to be true or false. A maxim he liked to quote was, “It is the worst aberration of the mind to believe things because one wishes them to be so.” Prove it, he demanded. Much of modern science in the 21st century, unfortunately, rests on unproveable assumptions, unobservable causes, and wishful thinking. Classical empirical science, hard science that depended on controlled experimentation, a scientific method that harked back to Roger Bacon and Francis Bacon, practiced by great Christians through the centuries in many fields, reached one of its highest pinnacles in Louis Pasteur. Some great scientists of the 20th century have been moral midgets and character cripples, but not Pasteur. He embodied the utmost in integrity and altruism. Despite a crippling stroke at age 46 that nearly ended his career, he rallied with even more zeal to apply science for human good, and that is when he many of his greatest discoveries. Though zealous for his causes, he attacked falsehoods but not men. His grandson described him: “This man, so intolerant against adversaries who refused to listen to the truth, was in his private life the gentlest, most affectionate and sensitive individual. As Emile Roux stated, ‘Pasteur’s work is admirable and proves his genius, but one had to live in his house to fully recognize the goodness of his heart.’” That goodness extended to the children inflicted with rabies who came to be healed, to his own family, and to his dear wife Marie Laurent, to whom he gave lifelong devotion. A more endearing team could hardly be found in the history of science. His wife recognized his genius and gave him every possible leeway and assistance to aid him and encourage him in his work; in turn, he loved her passionately and faithfully all his life and gave her all the quality time his busy schedule could allow. Though driven with an uncommon zeal for his mission in life, Louis Pasteur was a family man, a good father, a devoted husband. "You delegates of foreign countries who have come a long way to show your sympathy for France, have given me the greatest joy a man can feel who believes that Science and Peace will prevail over Ignorance and War, that the nations will learn to understand each other, not for destruction but for advancement, and that the future belongs to those who have done most for suffering mankind. Young men ... Ask yourselves first: What have I done for my education? And as you gradually advance: What have I done for my country? – until the moment comes when you experience the tremendous gratification of knowing that in some measure you have contributed to the progress and welfare of mankind. More or less favored by the current of life as your efforts may be, you must have the right to say, on approaching the great goal: I have done all I could do." His grandson wrote, “Pasteur’s health was undermined by a life overcharged with ideas, emotions, work, and struggles” (Vallery-Radot, p. 195). He suffered two more debilitating strokes and finally died holding his wife’s hand and a crucifix in the other. At his crypt are inscribed his words, “Blessed is the Man who Carries in his Soul a God, a Beautiful Ideal that he Obeys–Ideal of Art, Ideal of Science, Ideal of the Fatherland, Ideal of the Virtues of the Gospel.” Stephen Paget, a long time friend, who studied his life carefully, eulogized him after his death with these words: “Here was a life, within the limits of humanity, well-nigh perfect. He worked incessantly. He went through poverty, bereavement, ill health and opposition. He lived to see his doctrines current over all the world. Yet here was a man whose spiritual life was no less admirable than his scientific life” (Founder of Modern Medicine, p. 176). Was Pasteur a Christian? 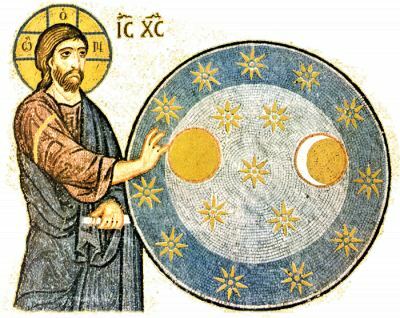 His son-in-law said that “he believed in the divine impulse which has created the Universe; with the yearnings of his heart he proclaimed the immortality of the soul.” His grandson said, ”Pasteur respected the religion of his forefathers; he had profound Christian ideals, but he was not, as has been asserted, an observant Catholic” (Vallery-Radot, p. 159). John Hudson Tiner claims Pasteur “had devotions each morning, read the Bible and prayed before going about each day’s activity” (History of Medicine, p. 84). Henry Morris quotes him as saying, “Could I but know all, I would have the faith of a Breton peasant woman” (Men of Science, Men of God, p. 62). In some quotes Pasteur sounds mystical or indefinite in his concept of God, portraying Him as an Infinity that might be embodied in various religions. We know, however, that people grow in faith and understanding at different times in their lives, so one quote might not fairly characterize the lifetime. Tiner quotes his son-in-law as stating that at the end, “The virtues of the gospel were very present to him. He came to his Christian faith simply and naturally for spiritual help in the last stages of his life” (Founder of Modern Medicine, p. 175). Clearly he was not a materialist, but it’s hard to say for sure if Pasteur fully understood and accepted the gospel of Jesus Christ in its New Testament sense. Jesus did say that you will know men by their fruits, and Christian values and character traits were evident throughout his life. If nothing else, Pasteur stood squarely in the tradition of Boyle, Newton and Maxwell in seeing science as a godly calling for the worship of the Creator and the betterment of mankind. The fruits of the Christian world view in science were ripe and sweet in the life of Louis Pasteur, and we are all the better for it. Remember this great scientist whenever you open your refrigerator and pour from a container that says, pasteurized. The rest of the story: At the Pasteur Institute today, some of Pasteur’s original swan-necked flasks remain open to the air, the broth still sterile after 140 years.